Who are the Zimbabwe Academy of Dental Nursing (ZADENU)? The Zimbabwe Academy of Dental Nursing is a corporate social responsibility project. It is a non-profit initiative meant to improve the professionalism of Dental Surgery Assistants (DSAs), a hitherto neglected “foot soldier” group of the dental care sector in Zimbabwe. It was started by Dr Farayi Moyana and Irene Kuda Moyana (Dentist and dental therapist, respectively). Every dental practice, surgery, clinic or hospital needs a DSA in differing role configurations. All the module writers and presenters of ZADENU offer their resources, skills and time on a voluntary basis. To be a national, regional and international recognized as a leader in the education and training of dental auxiliaries such as dental surgery assistants, nurses and dental hygienists, research, patient care and service. Provides students with a foundation in basic literacy and critical thinking skills to succeed as a dental assistant. Encourages students to become life-long learners. Encourages students to pursue personal, professional, and educational goals through critical and independent thought. Prepares students to act as legal and ethical dental professionals. i. Prepare students for employment as dental surgery assistants, in accordance with the expectations of general dentists and dental specialists nationally, regionally and internationally. ii. Provide the public and the dental professional community in Zimbabwe and beyond with a supply of qualified dental assistants, prepared to perform chairside assisting and related office and laboratory procedures. iii. Prepare graduates of this programme to be able to sit and pass any public or professional examinations for Certified Dental Assistant Examination off, with minimum preparations. i. Participate in outreach School dental preventive programs in crèches, primary and secondary schools, offering dental screening services, drama, and dental health education. ii. Community dental programs in old people’s homes, prisons, refugee camps and similar settings. A. To provide a high caliber curriculum that adheres to the current dental healthcare standards and business office management procedures in the dental field. B. To develop a sense of sense of responsibility in graduates to practice within world best practices, ethical principles and standards. C. To create a faculty focus on student success through effective teaching practice in both didactic and clinical activities and to provide learning opportunities incorporating modern equipment based on professional trends, oral and written assignments, self and pear clinical evaluation and various community projects. D. To prepare the student for employment as a safe, competent, and regulation-compliant dental surgery assistant. E. To lay the foundation and allow graduates to continue to plan, attain, and evaluate their educational and career goals regardless of age, gender, cultural and socio-economic status or ethnicity. F. To develop effective written, verbal, and non-verbal communication skills for the benefit of patients, colleagues, and other members of the health care team. G. To provide broad-based education that lays the groundwork for advancement into a variety of para-dental or dental auxiliary careers. H. To build in graduates a commitment to lifelong learning, a dedication to fulfillment of personal and professional potential, and a sense of dignity, value and personal worth. This unique 16 months Dental Surgery Assistant Diploma program is designed to prepare individuals to become dental assistants. This program combines lecture and hands-on classes to expose both current and aspiring dental assistants to all major aspects of the profession. This course is tailored to help participants learn the essential skills and responsibilities required to be a successful member of a dental team. After the completion of our program, participants will be prepared to work in a variety of dental offices. The main objective of our program is to prepare our participants to become functioning and knowledgeable members of a dental team. Participants will be encouraged to become certified or proficient in First Aid and computer literacy. Participants will spend time in different dental specialties, learning how to tailor what they’ve been taught in the lectures to each specific specialty. Rotations may include, depending on availability in the town of residence: General Dentistry, Prosthodontics, Periodontology & Implantology, Oral Surgery, Orthodontics, and Radiology. This is a part-time, module based, digitally supported program and therefore it is important to have continuous access to internet. Dental surgery Assistants already gainfully employed will be able to go back to their place of employment at the end of each block, provided they obtain permission from the employer to attend. Click on Programme Info under Home for more detailed information. A police clearance may be required for admission to the training unless if someone is already employed as a dental surgery assistant or similar, in which case a letter of recommendation or affidavit is accepted. Dr Farayi Shakespeare Moyana is the Director of the Zimbabwe Academy of Dental Nursing. 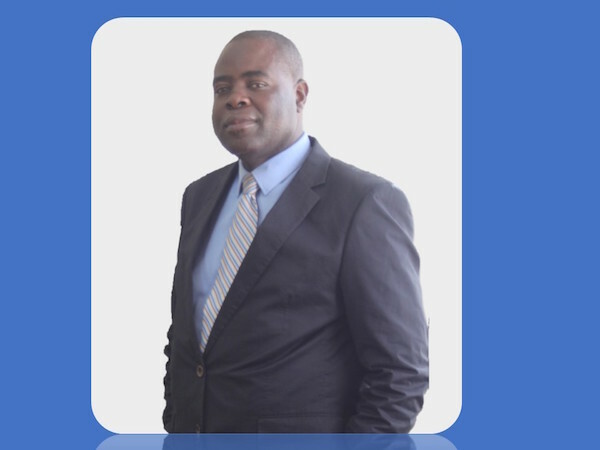 He is a qualified dental practitioner engaged at Dr Farayi Moyana & Associates as well at BORROWDALE DENTAL SURGERY . In addition to that he is involved in bioethics/Health law/research ethics continuing education training to multidisciplinary settings. He is an independent dental provider with a special interest in ORTHODONTICS, Implants, Applied Medical Ethics and Health Law but undertakes all aspects of general dentistry. Has been involved in dentistry for the past 30 years, starting at a tender age of 19 years when he obtained a dental therapist diploma in 1987. 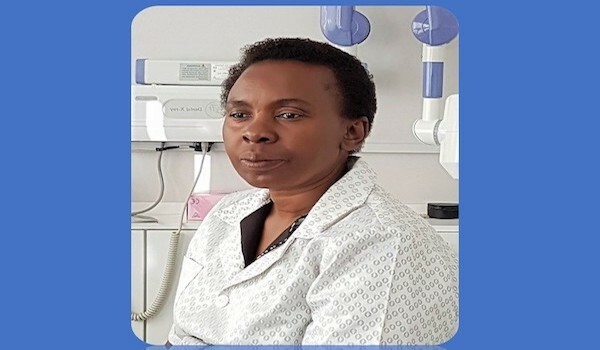 Irene Kuda Moyana is a Director of Odontoblast Investments P/L, a consortium of business units comprising Zimbabwe Academy of Dental Nursing (ZADENU), Borrowdale Dental Surgery, Dr Farayi Moyana & Associates (Medical Chambers Dental Surgeons) and Daniye Dental Clinic. She is a Dental Therapist by profession and is involved in community dental health awareness campaigns. Her current interest is in Health and safety at the workplace, which is likely to form part of her PhD focus.